Cwm Cadnant Valley is a family park set in the small valley of the River Cadnant, a gentle running stream that once fed the moat of the nearby magnificent Caernarfon Castle. The location provides a quiet haven within a ten-minute walk of Caernarfon town centre. The park is laid out amongst mature trees and extends to approximately 4? acres. There are 35 pitches for tourers, set out on terracing including 5 hard-standings, the majority of pitches with electrical hook-ups. The 24 tent pitches are set out on both sides of the stream. 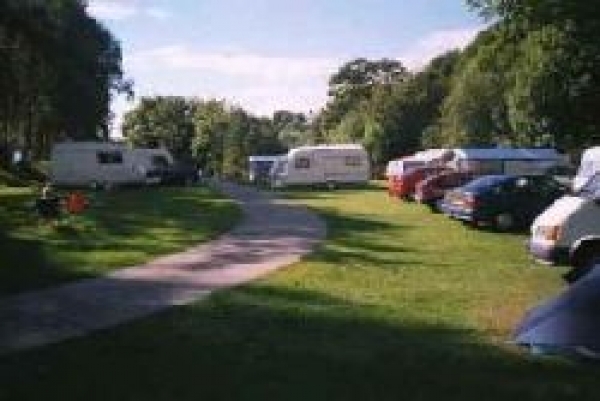 Backpackers and cyclists are accommodated on their own area of 9 pitches at the top of the site. The site is well equipped with a children's play area, launderette, sheltered dishwashing facilities and barbecue area. The toilets contain hair dryers, showers, shaver points and plenty of hot water. We also have a "family room" and a accessible washroom for those with mobility restrictions. The reception area contains a full range of tourist information about the local area. Calor Gas and Camping Gaz can be purchased here (we can usually source BP Gas light within 24 hours) and we also offer an ice-pack freezing service. We also have a payphone in reception. Near Caernarfon - a shingle and muddy composition 2.3 miles away. Facing the Menai Straits with clear views across to Anglesey and the location of the Plas Menai international outdoor pursuits centre. Near Y Felinheli - a sandy and shale composition 3.1 miles away. Near Bangor - a sandy and shale composition 3.6 miles away. Looking out on the Menai straights there is a sailing club and the beach is sometimes referred to as the Port Dinorwic Sailing Club beach. Near Llanfaer Pwl - a sandy composition 5.0 miles away.